250’ of covered docks with 16’ x 50’ slips to hold large cruisers and multiple runabouts. 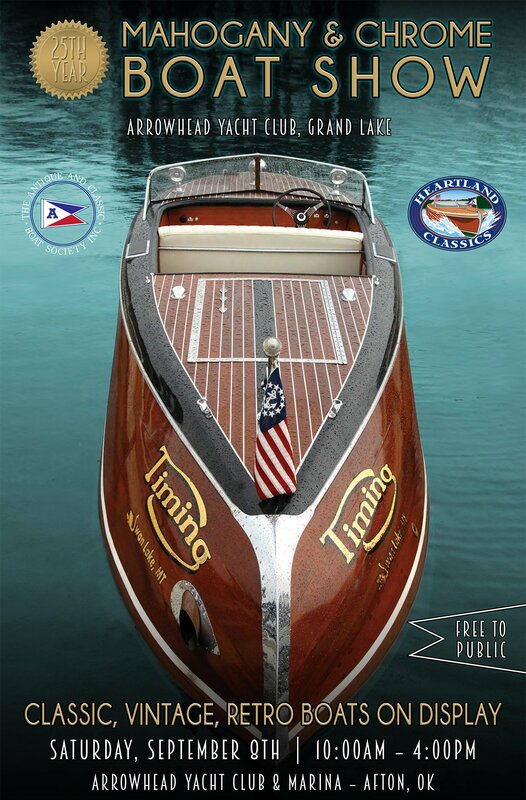 The docks are used for personal classic boats, boats waiting to go to the shop, repair and service that can be accomplished on the water, visitors to the shop by water, and various Heartland Classics Boat Club events. Boat Docks are located in Scotty’s Cove. The cove entry is just west of the large concrete tower in the water on the south end of the tall bluff beginning at the dam. The shop is directly West of the docks. Please give advance heads up when you plan to visit by water. 918-693-1855.